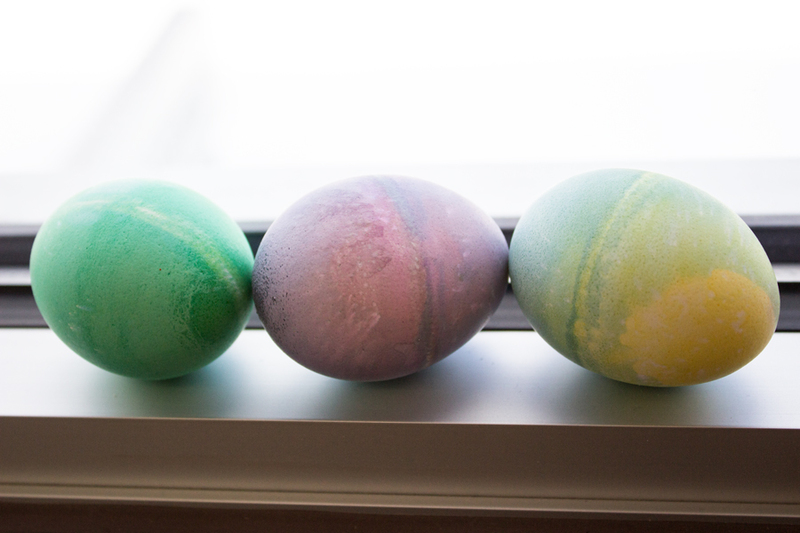 No need to spend money on expensive egg dyeing kits! 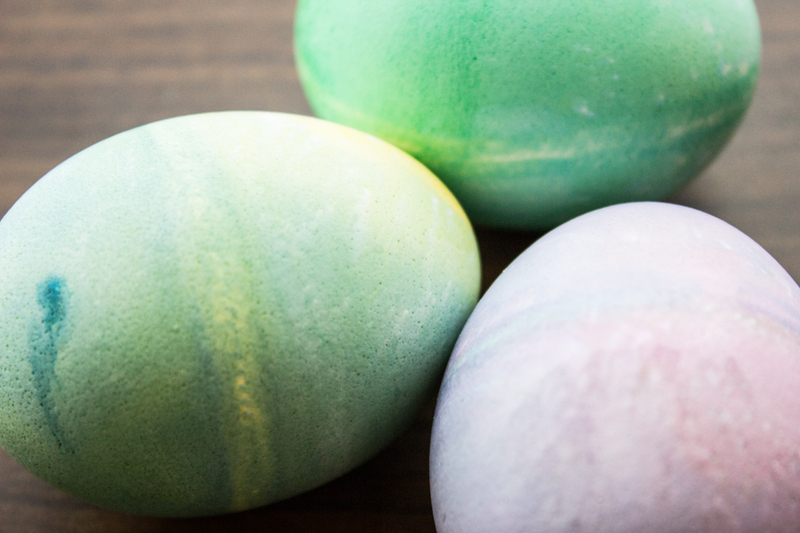 Color eggs with food coloring and vinegar — and celebrate new life in the resurrected Christ with your friends and family. 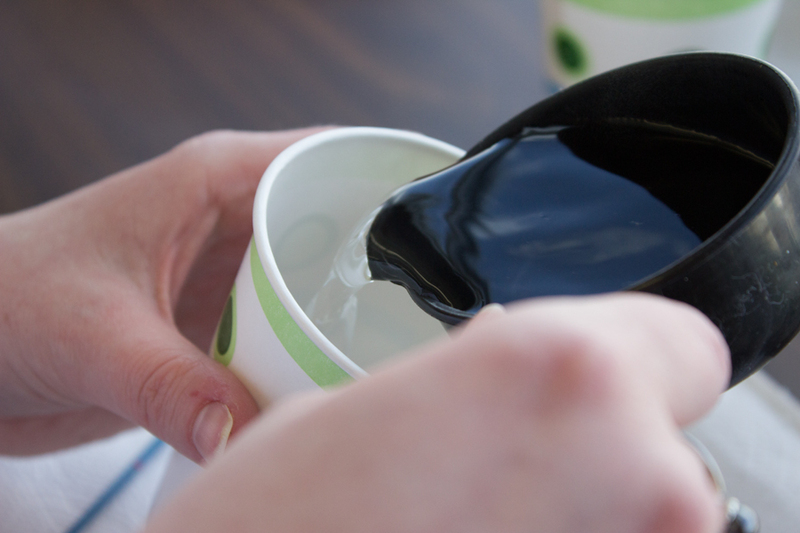 Step 1: Put ¼ cup of boiling water in a small bowl or other container. 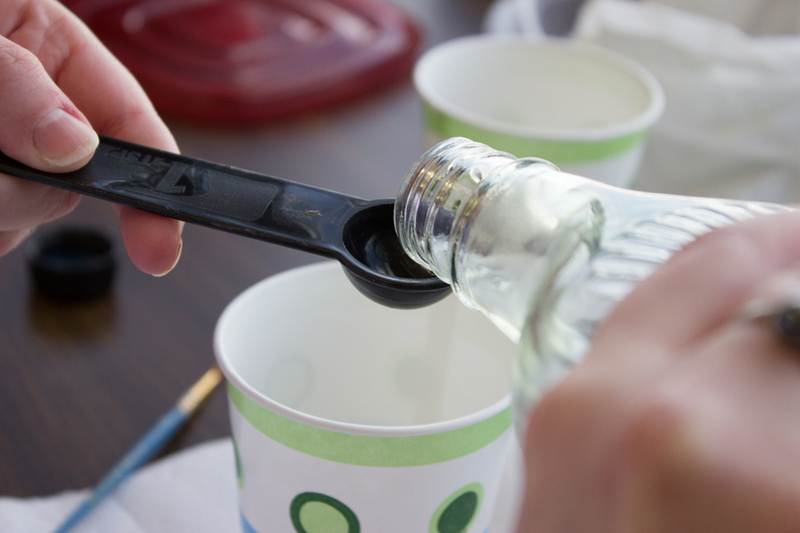 Step 2: Mix 1 tsp of vinegar into the water. 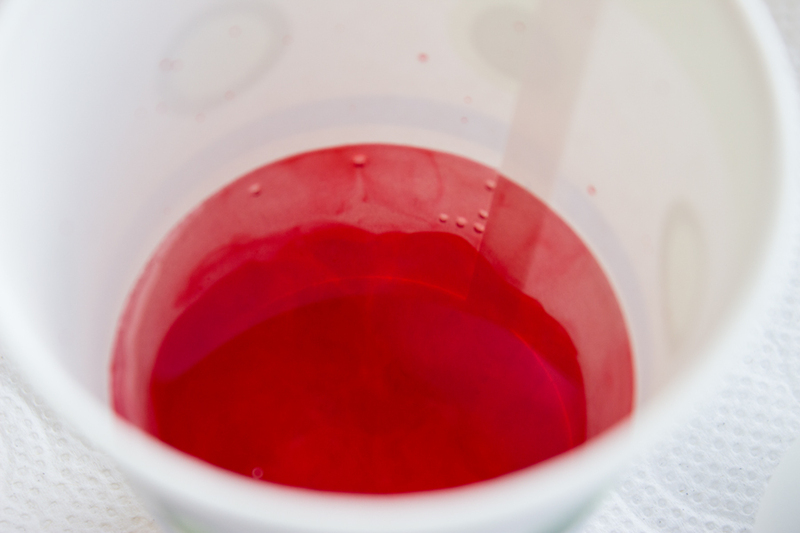 Step 3: Add 10-20 drops of food coloring to the mixture. 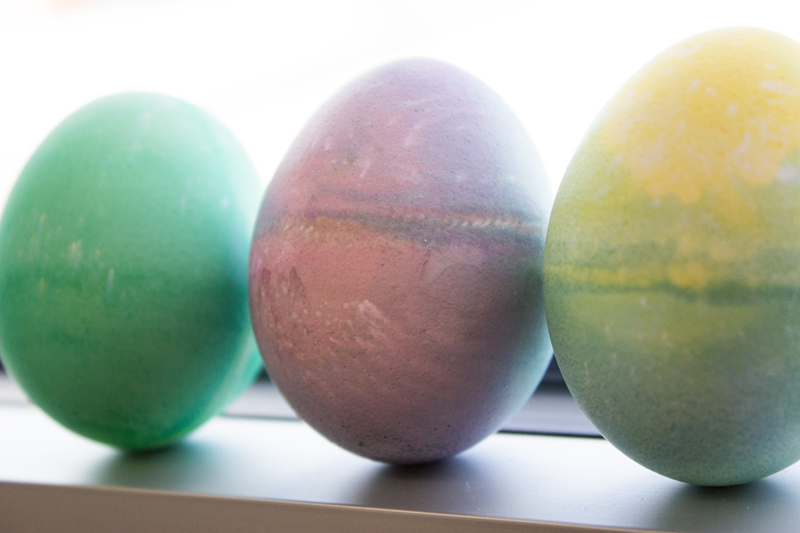 (The more food coloring you add, the darker the eggs will be.) 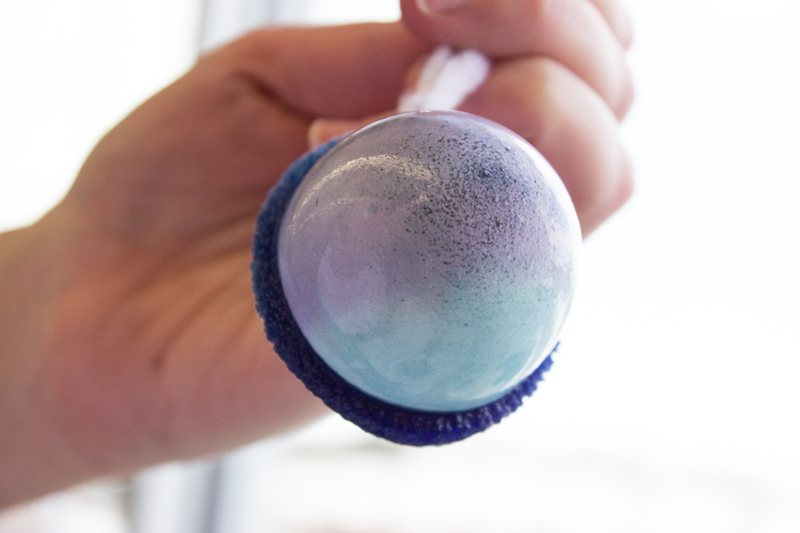 Combine primary colors (half of each) to make secondary colors like green and purple. 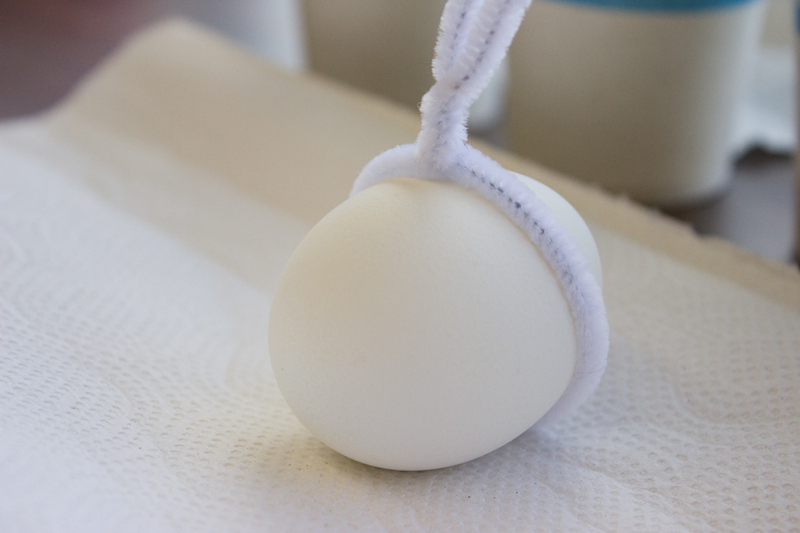 Step 4: Wrap a pipe cleaner around an egg, then twist the pipe cleaner to secure it to the egg. Make sure it’s tight enough to hold the egg securely but not tight enough to crack the egg. 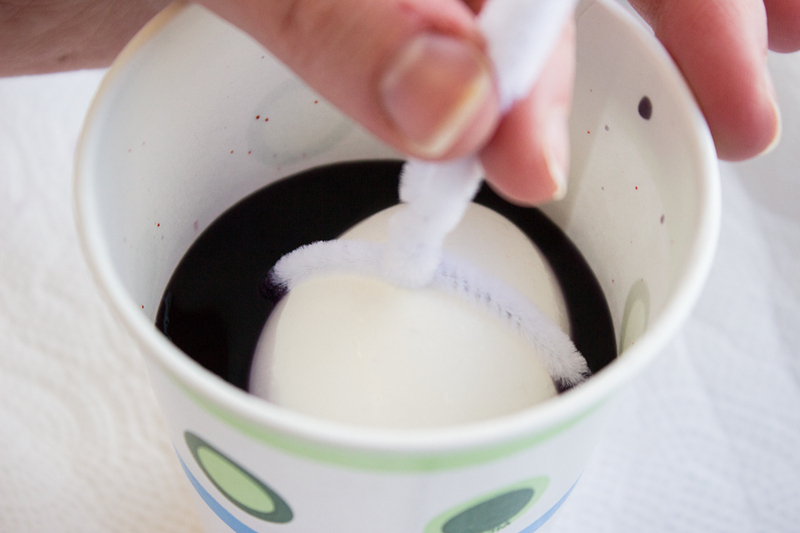 Step 6: Let eggs dry on a paper plate or wax paper until fully dry. 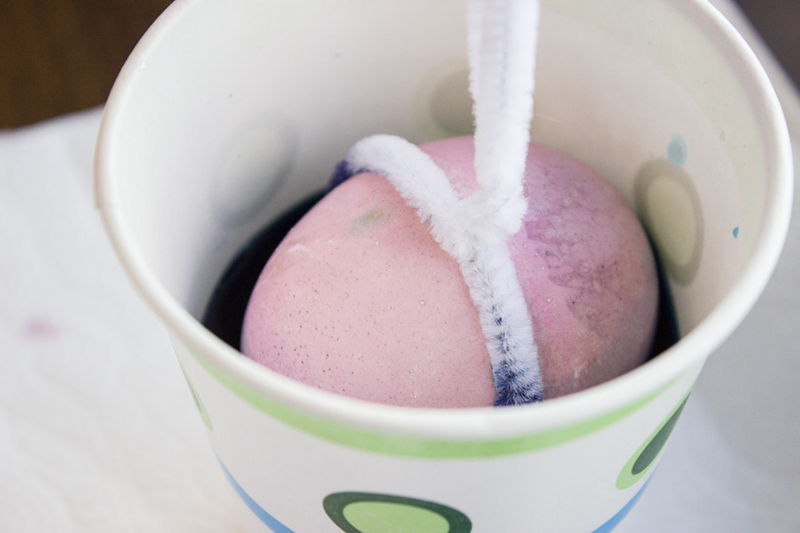 Place eggs in a pot and cover with cold water. 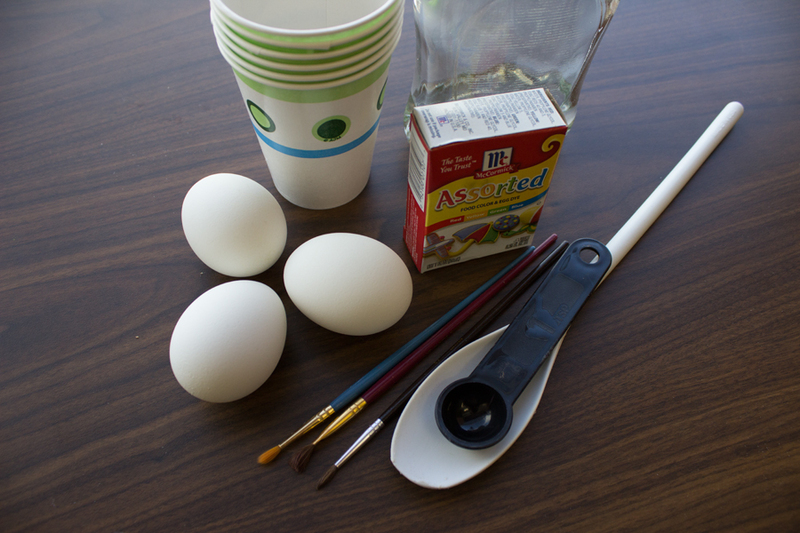 Make sure the eggs are covered by at least 1 inch of water. Bring water to a boil over medium-high heat, then cover the pan with a lid, and remove it from the heat. Leave the eggs in the pan of hot water for 8 to 10 minutes. 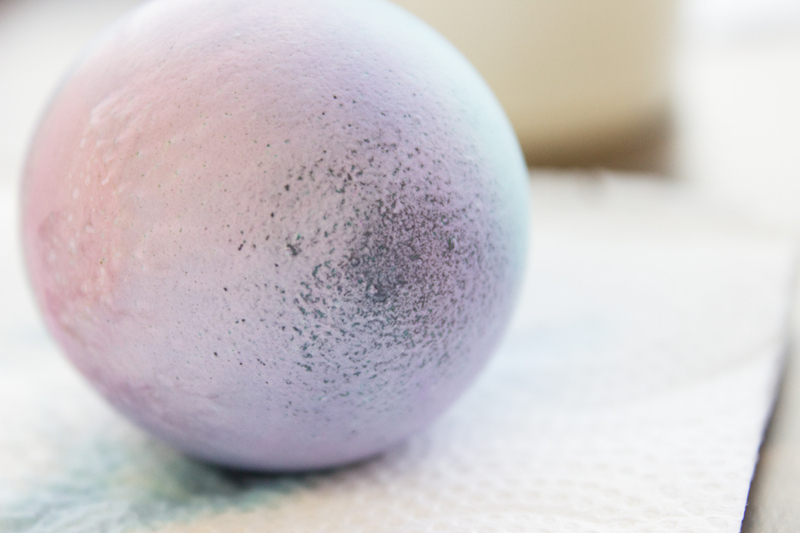 Drain water and rinse eggs with cold water.